House Approves Trump Health Care Bill, what to expect next? With a razor-thin margin ( 217 – 213 votes ) the House managed to pass the Republican replacement for the Affordable Care Act this Thursday May 4th, 2017. Democrats unanimously opposing the bill. Minority Leader Chuck Schumer said, ” Trumpcare is just a breathtakingly irresponsible piece of legislation that would endanger the health of tens of millions and break the bank for millions more” . It is very questionable if this bill in its current form would ever get approved through the Senate. However it is clearly causing tremendous anxiety to Americans, especially Americans who rely on the current system, the low income Americans and Americans with pre-existing conditions. Many Americans wonder what the future of their health insurance will look like. 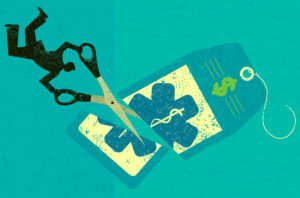 Medicaid: Under the American Care Act the federal funding for low-income people on Medicaid would be limited and States will have to take on a greater burden of the cost. Even Republican governors of Ohio, Michigan , Arkansas and Nevada fear that their states will have not enough funding to ensure that the low income citizen are taken care. off. The expansion of Medicaid will supposedly cut after 2020. Tax Credits: Even with the additional $ 85 billion added by House leaders to help older people pay for their insurance premiums, many moderates feel that the age-based tax credits in the bill replacing are to small, especially for the people in their 50s and early 60s. However other conservatives are opposing any tax credits as they feel this is as “Obamacare Lite” and do not want any entitlement. Planned Parenthood: The house would defund this reproductive health organization for one year. Many democrats and even even some Republicans questioning how wise this decision is, as the cost of birth control pills are much lower than a unwanted pregnancy or even unwanted children. Republicans are trying to move this bill through the Senate with a “reconciliation” to avoid a Democratic filibuster. A reconciliation has very strict rules that require every piece of the bill to be directly related to the federal budget. So for example it is questionable if the replacement of the “individual mandate” requiring most people to carry health insurance will be replaced by the “one year 30 % premium penalty for people without prior coverage”, as the lapse in insurance would not be paid to the federal government but to the insurance carriers, and with that there would have no budget impact. Furthermore the “age bands” which is currently a ratio of 3 to 1 , is intended to change to a 5 to 1 ration. The 5-1 ratio means insurers can charge older adults instead of three times five times more than younger adults. However this measure does not affect federal spending as the payments go to the insurance carrier and therefore should not be pass the “reconciliation process”. It is to be seen what actually really will be changed from the current ACA law to the new house bill, nevertheless it causes much anxiety to many American who rely on the current health care system. Insurance carrier have to set their 2018 in May . It is very likely that the mathematicians will calculate the uncertainty and of policyholders into their premium calculations, and it is predicted that there could be a possible rate increase of another 15-20 % for 2018. Solid Health Insurance Services will keep you informed over the newest changes in the health insurance industry. Our mission is to find you affordable health insurance which fits your budgets and medical needs.